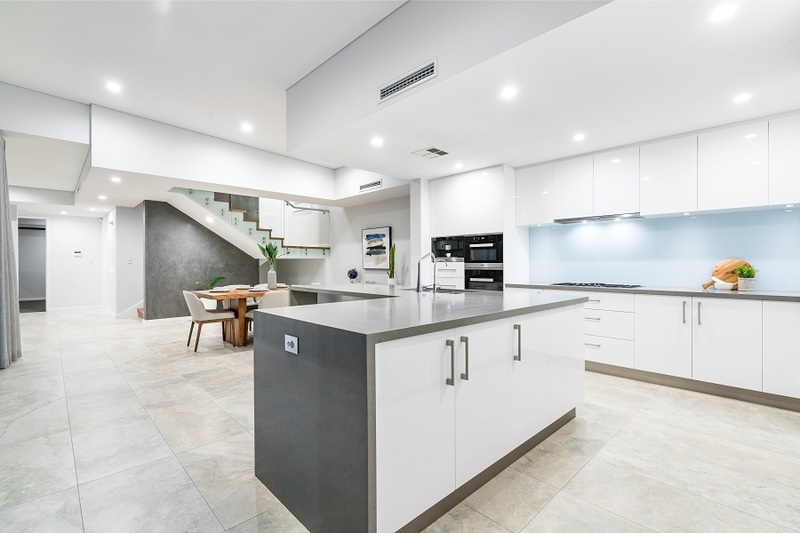 It’s time for your kitchen renovation and kitchen cabinet remodeling, but you lack some inspiration when it comes to narrowing down the final design. Well, look no further. We have some of the greatest celebrity kitchen ideas that you can use to help inspire your own kitchen renovation. Ricky Martin. In Ricky Martin’s home, he had a pretty straightforward kitchen design and utilized two-toned cabinetry that helped the space flow seamlessly into the other areas of the home while adding character that was able to stand out against the beautiful ocean views his home also boasted. Michael Clarke. He also had a simplistic and straightforward kitchen style and used neutral toned cabinetry with stone benchtops. It is a look and design that can be easily replicated in any home. The white backdrop of color also makes for a neutral color palette with room to add in your own personality. Jennifer Lopez. She also went with a clean, white kitchen and it was also featured in Veranda Magazine. She used a soft blue pastel color palette that blended nicely with the white countertops. Adding in some greenery also gave it another pop of color and made the space appear more natural and comfortable. Choosing a beautiful stone backsplash also makes the space even more extraordinary. Robert de Niro. He chose a sleek and functional look for his kitchen with darker cabinetry, stainless steel appliances, and dark granite countertops. The flooring he used is a neutral tile that helps lighten the space without detracting from its professional and rich appearance. Celine Dion. For her kitchen, she went above and beyond and created a space that was extraordinary and deluxe. With ornate lighting fixtures, patterned tile floor, cherry cabinetry, and dark and rich colors, her kitchen is definitely worth a look. Gwyneth Paltrow. This actress paired simplistic whites and greys with metal furnishings and other textures to create a more modern farmhouse look to her kitchen. Her lighter cabinetry choices pair well with the darker wood floors and the presence of plenty of natural sunlight that bathes the room. If you are still looking for inspiration for your own kitchen renovation and design or kitchen cabinet remodeling, do not hesitate to contact us at Cardigan today so we can go over some of the design options that are available to you.